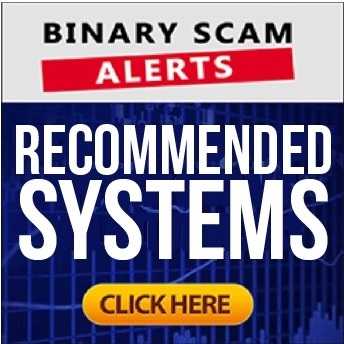 Binary Scam Alerts » Cryptocurrency Scam Reviews » Crypto Cash Review, Fake Crypto Cash SCAM Cloned? Yes! Crypto is Making People Rich, And You Can Become The Next Millionaire! Does this sound all too familiar to you? That is the opening sales pitch for the recently re-launched and cloned Crypto Cash SCAM software and fake trading signals app (not to be confused with Crypto Cash System by Brian Daniels). Our detailed and informative Crypto Cash review will prove that this system is not an investment platform or automated trading software of any kind. In fact, similar to its predecessors, this copied get-rich-quick scheme is merely the latest in what we refer to here as a “production-line” or “serial scam”. What does that mean? Well, it means the crafty affiliate marketers and online promoters behind this losing scheme are using a type of white label or turnkey solution available for any pathetic blogger, Email marketer, or Facebook promoter who wants to plug in to an existing lineup of dubious crypto scams and get paid referral cash for their efforts. That’s the real secret behind the Crypto Cash scam, but you won’t read about it anywhere else! SEVERE WARNING: Due to mounting complaints we have received in regards to fake news campaigns (BBC, Forbes, CNN, Mirror UK, and Reuters) which ultimately lead viewers to the Crypto Cash SCAM, we regard the Crypto Cash scam to be particularly deceptive and misleading and for that reason are advising all our members and subscribers to refrain from joining this fraudulent scheme and avoid it at all costs. The end goal of the scammers behind this ruse is to get you to fund a real money trading account with a fake offshore Forex and/or CFD broker. In our case it was VIP Coins which is owned and operated by Foreign Holdings Ltd. and have a registered business address in Seychelles. Our initial findings as well as proof and evidence of SCAM and malicious foul play have led us to the realization that Crypto Cash is neither genuine nor legit. So if for some reason you feel compelled to pull out your credit card and risk your own money, we highly recommend you continue reading our revealing Crypto Cash review since we exposed the crooks behind it as well as their shady methods of operation. Below you can see the main sales page and registration area for the Crypto Cash SCAM software. It is clear to see Jake Tapper and the usual spiel about “no banks and no fees” just like he babbles in the previous versions of the fake app. Shame on you cheaters! We caught you red-handed so stop scamming people out of their money and get a real job! And here is the last piece of evidence our staff has produced. We signed up multiple times to test the app and its plain to see that Hybrid Reserve was the broker which was assigned to us, and the post-registration page is identical to the one which is currently being used for Bitcoin Revolution. Crypto Cash does not answer to the criteria of software. It is merely a web page with a signup form which integrates with an offshore broker. In most cases the victims are not even aware they are signing up for a broker. They are under the assumption that they are now a part of an exclusive group of people which have somehow magically stumbled onto the right formula for making massive amounts of passive income. Why Are The Confidence Artists Copying The Websites? Scammers are duplicating the same sites in order to cut down on design and programming costs. They want to minimize their investment and get the maximum amount of money possible by scamming as many victims as they can. Crypto Cash Review, Bill Gates and Eric Schmidt Do Not Endorse Crypto Cash! Hold on to your credit card and keep an eye on your wallet because Crypto Cash has nothing to do with members who “enjoy retreats around the world every month while they make money on their laptop with just a few minutes of work every day”, and everything to do with defrauding unsuspecting opportunity seekers such as yourself! You can bet your bottom dollar that the performance is NOT laser-accurate, the technology is sub-standard at best and most likely non-existent, and of course there is no award-winning app at all! Its all a bunch of hype wrapped up into one big lie. The testimonials are fake, the bank accounts are inflated and photo-shopped, and the sales video just circulates from one site to the next. In other words, stay away and don’t say we didn’t warn you. We are the first ones to expose Crypto Cash, so currently there are no reviews at all but this will change for sure. Not really no! Its going to cost you at least $250 to get started with this crappy get-rich-quick scheme and that money will be charged to your credit card by thieving offshore brokers. Still Trust Crypto Cash And Want To Try it Out? If you still intend to test the Crypto Cash scam app and risk your own hard-earned money, then maybe you should consider your options and avoid online trading altogether because there is no way you can make money using this system and that’s a guaranteed fact. Are you constantly searching the Internet for a legit trading app? You’re not the only one so here’s a little something you may be interested in. Our staff compiled a short yet reputable list of tested trading apps which have withstood the test of time. We invite you to visit our recommended section and check them out for yourself.